Recently, we were faced with an interesting challenge: to create a Kentico site that runs in TRUE mixed-mode authentication. This means that on the same site, some users use anonymous/Forms Authentication, while others use Integrated Windows Authentication. Achieving this setup was not as simple as it sounds! Ultimately though, we were able to come up with a great solution…read on to learn how we did it. 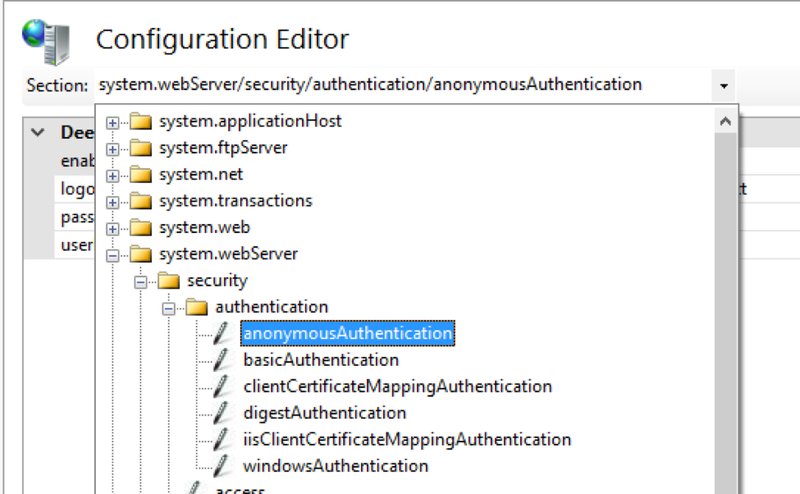 As we were building a Kentico-based Intranet application, our client’s IT department provided us with a unique authentication requirement: all users on the local network needed to be authenticated automatically using Integrated Windows Authentication (IWA) via IE or Chrome (Edge doesn’t support Windows Authentication). However, in addition, all external users would need to enter their AD credentials on a friendly, branded login screen. Initially, this appeared it would be a fairly straightforward “Mixed Mode” configuration, but it turned out to be more complex than we expected. Kentico provides the concept of “Mixed Mode” authentication (here’s the documentation), but this is not the same as using different authentication mechanisms. It’s really just a way to allow the SQL and AD security providers to both be used, but in both cases, Form Authentication is the mechanism being used. The real issue we faced is that IWA is different animal altogether. It uses Kerberos to create an authentication ticket, and if successful, then all requests will have the AD user set in the HttpContext.Current.User.Identity object. While this authentication mechanism is used less frequently today than it once was, it is still a mainstay in many enterprise scenarios due to being seamless for users and a simple reliance on Active Directory to do all the heavy lifting. While it may seem like a long list, it’s ultimately not very difficult. Note that testing can be a challenge, since you need a client machine that is on an Active Directory domain as well as has IE or Chrome installed with IWA enabled. 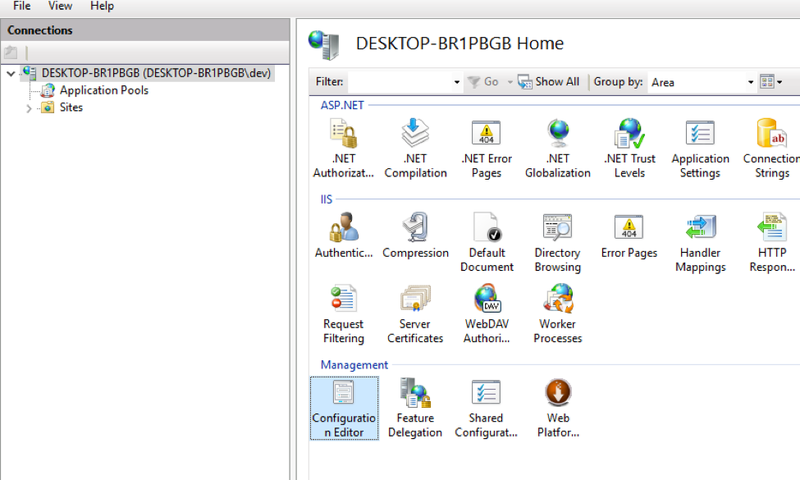 Like any ASP.NET application, Kentico can run in this mode, but there is a big problem when you mix Forms Authentication with IWA. Basically, in order for Forms Authentication to work, it must be enabled at the <system.web> level in the web.config, and anonymous access to the login page is required, otherwise users can’t even type in their credentials. Here’s the problem with that: if Anonymous access is enabled at all, then the IWA token will never be sent. It’s impossible for that to happen, as all IWA-compatible browsers simply refuse to send any authentication information if anonymous access is allowed. Here’s what’s happening here: The IWA authentication process actually happens before Page_Load. 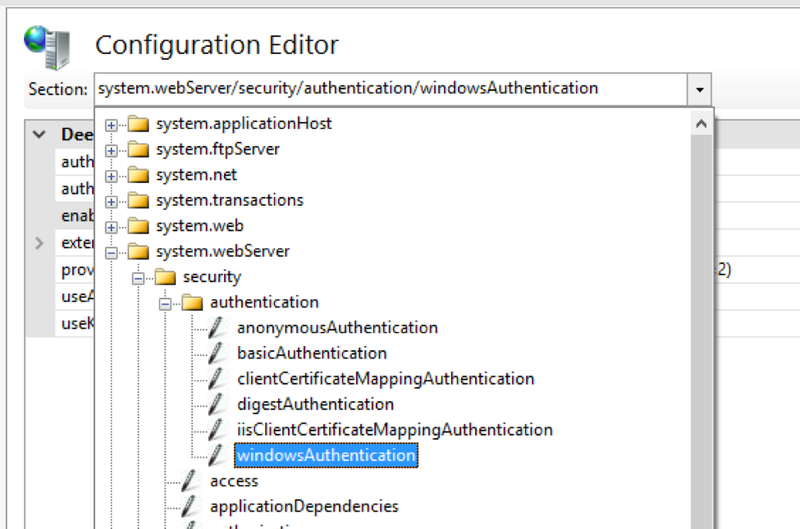 If the user is successfully authenticated, then a Forms Authentication cookie is set using the IWA credentials. If IWA fails or is not enabled, Page_Load will never happen, because the built-in Forms Authentication process built into Kentico will redirect the user to the specified login page (in this case, Logon.aspx, which contains a standard logon webpart from Kentico). Once all this is in place, you will need to add the following code, which creates an event handler for Application Requests in a Kentico Global Event Handler. Note that this handles the Request.End event. If IWA is enabled on a given page, a 401 challenge response will be sent. If this happens, we know that IWA is working. There is also an added security check that looks to see if the current server IP matches a configuration setting. If this is true, then the user is coming from an internal IP and IWA is enabled. The last piece of the puzzle is to create a global event handler for the Authenticate Event. This will check to see if IWA is being used, and if it is, it will extract the username from the token, match it against an AD user, and ensure that the user is valid. If IWA is not being used, it will proceed to authenticate the user normally. // The Windows Auth user is invalid, Invalid login. // User did not exist, and AD Auth failed. Invalid login. // saving the pwd as a guid. By following the above steps, you'll be able to configure a Kentico site to run in TRUE mixed-mode: Forms Authentication and Integrated Windows Authentication on the same site. This is a great set-up for internal users, since they never have to log in. This was a really interesting challenge, and we found it very satisfying to architect a solution for it. I hope you've found it helpful and informative, and the BlueModus team would be happy to discuss it in greater detail if you have any questions. Just email me at dconder@bluemodus.com, or hit me on Twitter at @davidconder.